Home / Men / Mens Cross Trainer Socks, per doz. 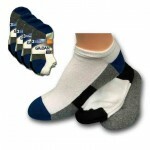 Mens Cross Trainer Socks are basically the right sock for a multitude of purposes Golf, Tennis or just hanging out. Comfortable and cool. 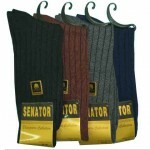 Category: Men, Men's Sport Socks. 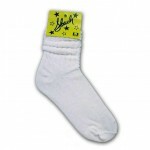 Tags: casual socks, Cross Trainers, exceptional comfort, Mixed cotton blend, tennis socks, White Socks. Men’s Cross Trainer socks are basically the right sock for a multitude of purposes. Golf, Tennis or just hanging out. Comfortable and cool.